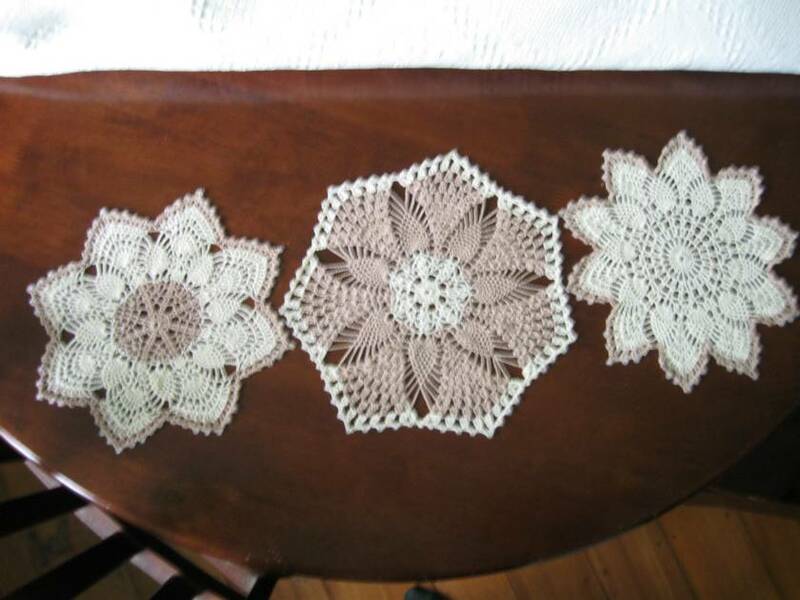 These 3 beautiful doilies are crocheted in No. 10 cotton in a colourway of coffee and cream. 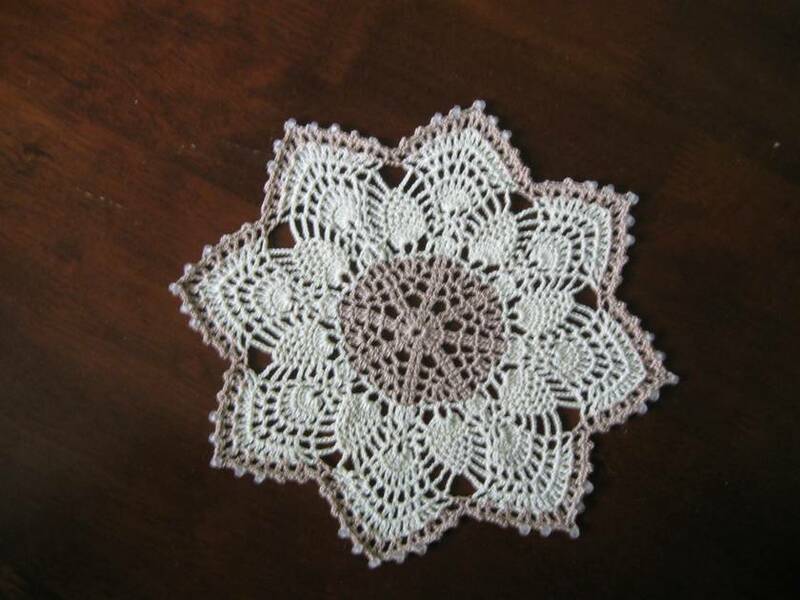 They look similar to the doily sets from Grandma's day. 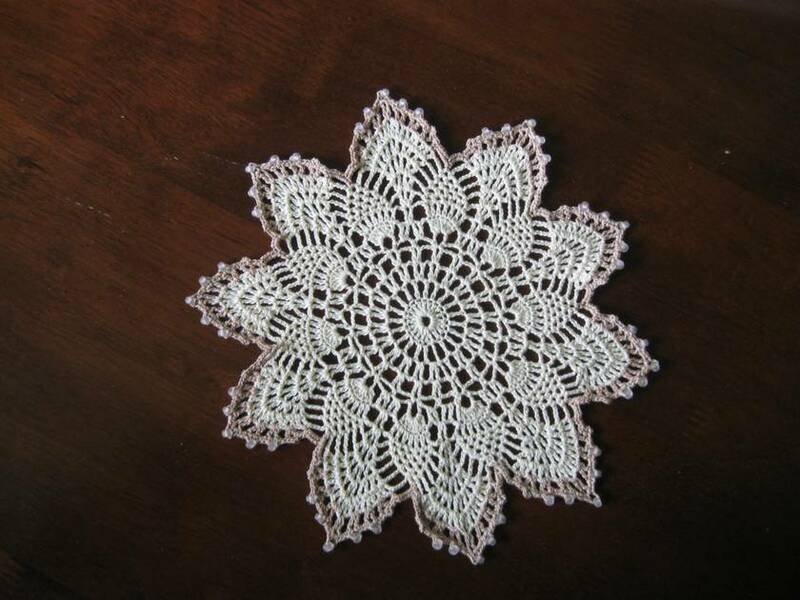 Each doily is different- but they go together to make a trio. 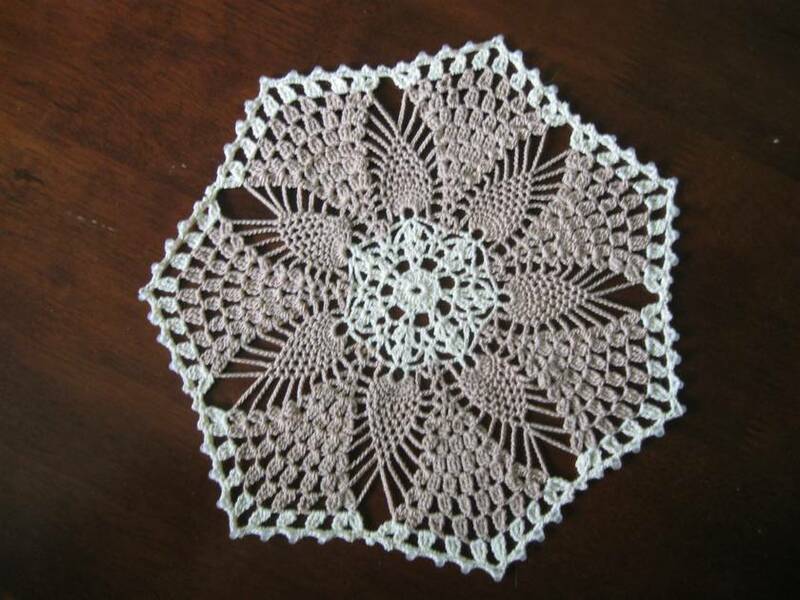 Measuring 8-9"( 22-23 cm), each one is finished with dainty beads around the edge and they could be used as food covers as well. A delightful gift for any occasion.